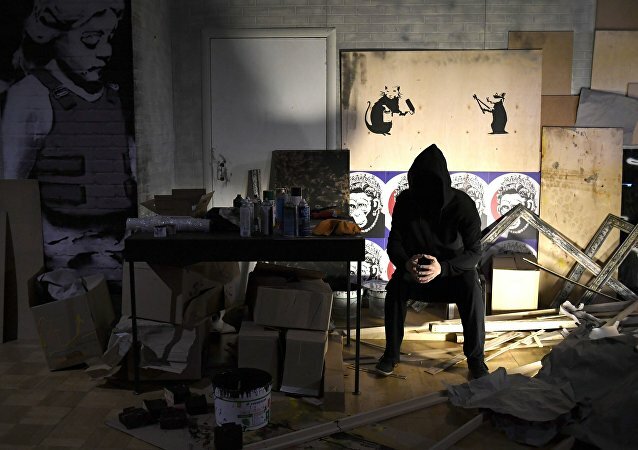 The mysterious British street artist Banksy has allegedly claimed responsibility for the destruction of his widely recognized piece of art during the auction, just as it was nearing the £1 million bid threshold. Hull, a city in Britain voted UK Capital of Culture, has been paid a visit by internationally acclaimed street artist Banksy who left his mark on an disused bridge over the River Humber. 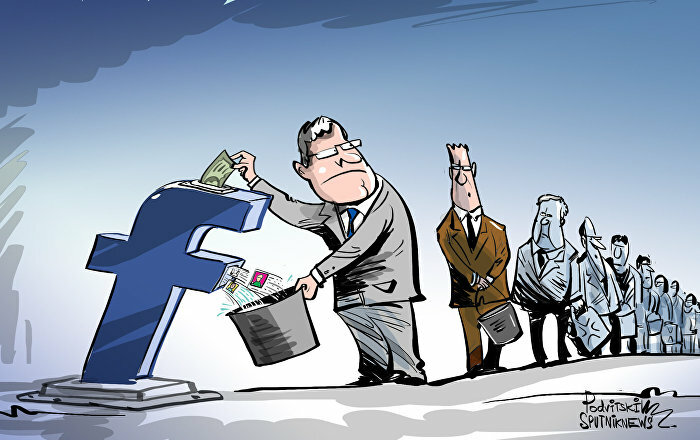 It seems you can't play hide-and-seek in this world forever! British researchers have finally uncovered the identity famous street artist Banksy. 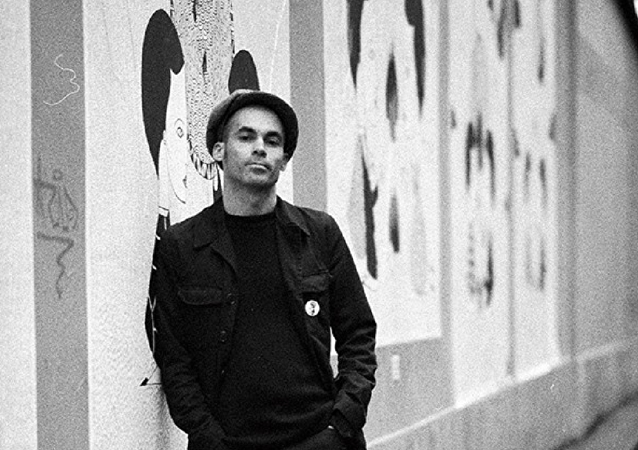 When dreadful things happen to us, it’s important to move on and try to bring hope and love back into life, instead of hiding inside, in constant fear and depressed, according to Parisian street artist Fred Le Chevalier, who told Sputnik how he uses his drawings to spread the message of love and peace. Eduardo Kobra is a world famous Brazilian street artist who has created numerous magnificent kaleidoscopic murals in cities all over the world. The stenciling of social injustice - street artist Banksy has spray-painted a mural opposite the French embassy in London to highlight the use of teargas on refugees by the French police. The image, taken from the French musical Les Miserables, depicts a young girl crying with CS gas billowing from a canister in front of her. Ironically labelled as UK’s most disappointing new visitor attraction, the Dismaland art project constructed in England by the street artist Banksy offers visitors a chance to dip into feelings of despair and face creative reflections of a harsh but true reality. Famous artists have painted the legendary Russian trucks, ZiLs, turning them into objects of modern art. The event is dedicated to the development of the Moscow neighborhood, where the Russian automobile manufacturer (more commonly called ZiL) is based and which is to be transformed from an industrial to a residential area. 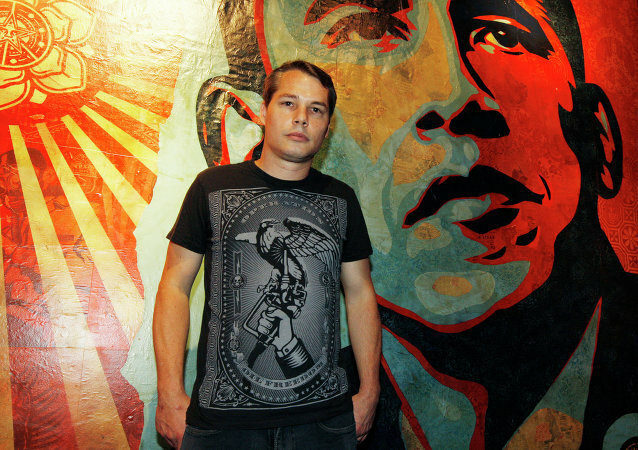 Well known street artist Shepard Fairey, the man behind the iconic Obama ‘Hope’ poster, has been arrested in Los Angeles after customs agents saw his open warrant in Detroit for vandalism. A felony arrest warrant has been issued in Detroit for the man behind the iconic Barack Obama “Hope” poster, famous street artist Shepard Fairey, alleging that while he was in town working on a commissioned mural, he also “vandalized” other properties around the city. 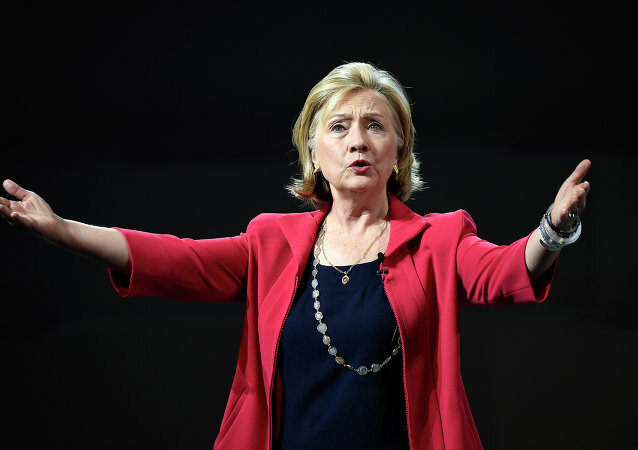 As Hillary Clinton went unrecognized grabbing lunch at Chipotle in Ohio on Monday, the internet was buzzing about posters being put up mocking the candidate in several major cities.